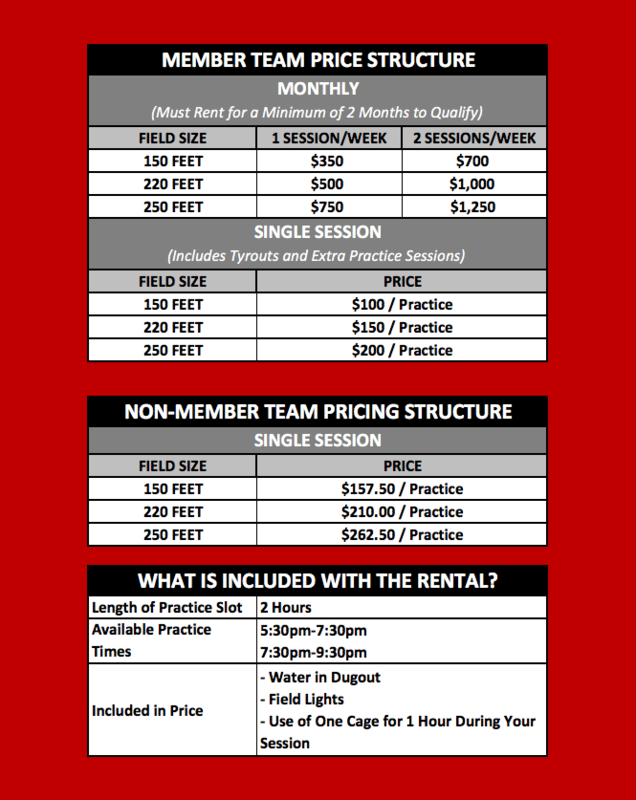 All current Member Teams will have first priority to their current Field Rental Sessions. Any sessions that are released by current member teams will be available for new Member Teams to rent. These open sessions will be filled from the Field Rental Waitlist. Please complete the form on the right. You must rent a field on a weekly basis for a minimum of 2 full months. Payments are made on a monthly basis and must be paid at the beginning of each month. The price structure is included below. If you are interested in becoming a Member Team, please complete the form on the right. 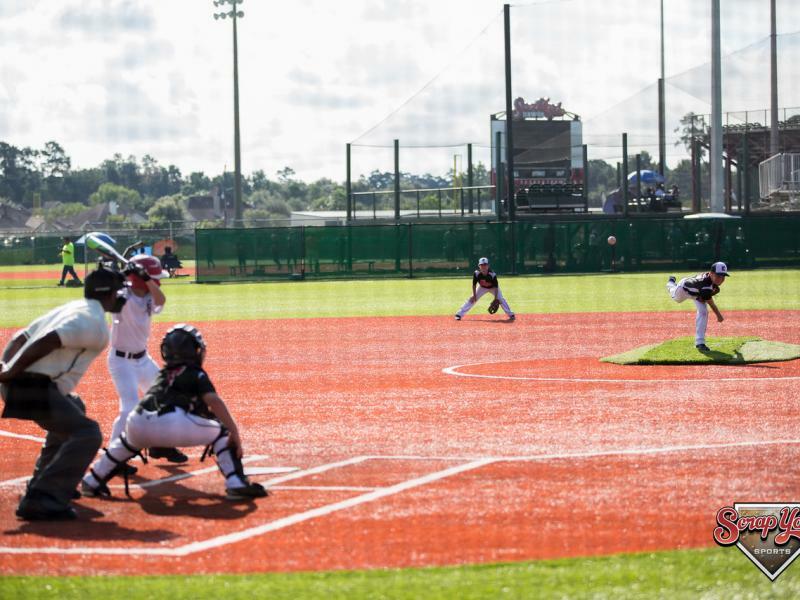 If you are only interested in renting a field for a one time session for a tryout or due to a rainout at another facility, please click on the "One Time Rental" button. If you need to make a payment on an open invoice, please click on the "Make a Payment" button.